Contus is a Social, Mobile, Analytics, Cloud (SMAC) company. They've been delivering innovative SMAC solutions through their products and services for clients in more than 40+ countries since 2008. Contus can help with every step of your cloud migration and management. Cloud adaptation is easy, safe, fast & cost effective with Amazon Web Services + Contus. With Contus Bot, build chatbots super-charged with artificial intelligence and infused with machine learning for superior human-computer interaction. Contus Bot's chatbots bring a human touch to challenging customer service. Contus Dart is an on-demand delivery app for accurate tracking. Keep track of your products from warehouse to doorstep; everything that's shipped can be tracked by you and your customers. Assigning delivery personnel, cash flow monitoring and the complete course of fulfillment is under your control. Contus Fly allows you to build real time messaging apps for social, enterprise, in-app, and personal chat. Contus Fly apps are fully customizable, with full access to the source code. Contus Fly gives developers total control over the instant messaging app and its functioning messaging SDK with full access to source code on which it is built. Contus M-Comm allows you to build an exclusive mobile commerce app in sync with your eCommerce store. Contus M-Comm is a readymade platform that accelerates your exclusive mobile commerce app development process in both iOS and Android platforms. Contus Vplay is a video streaming solution for all industries & use cases. Contus's eCommerce Website Development service is a complete eCommerce solution for all stores, including marketplace, mobile app, and social commerce. With Full Stack Development, Contus experts engineer a 3600 web connected future for all B2B, B2C, C2C and all other business models. Their expertise encompasses UI/UX, front end development, API, backend, DevOps, quality assurance, and more. 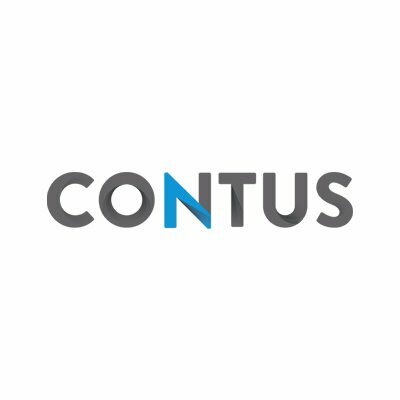 Contus's Internet of Things service creates a smart connect between people, machines and processes for unified functioning by harnessing the growing potential of IoT development. Bring all your Internet connected devices under one real-time range with a broad spectrum of connectivity options. Have your own central console to keep a tab on the functioning, performance and connectivity of IoT devices. Gain access to predictive information on possible downtimes to plan preventive actions. Contus's Magento experts will help you optimize performance, develop mobile and cloud solutions, and increase responsiveness. They can also assist your migration to Magento, the world's most trusted eCommerce development platform. Contus can help you develop mobile apps that feature augmented reality, integration with wearables, messaging, m-commerce capabilities, and so much more. Contus helps every business of every size, type & scale leverage enterprise mobility as a driver of digital transformation.